Our Vintage Belle Harmony Ball pendant is stunning. With it’s ornate, vintage inspired design, this pendant is the perfect way to add a pop of colour and fun to your pregnancy style. This Gatsby inspired bola ball makes a gentle bell sound as an expectant mother move about her daily activities. As it bounces against her rowing bump, the pendant will chime, creating a subtle yet audible sounds similar to like metal wind chimes bumping gently in the breeze. Harmony Balls are special way to bond with your baby while pregnant. 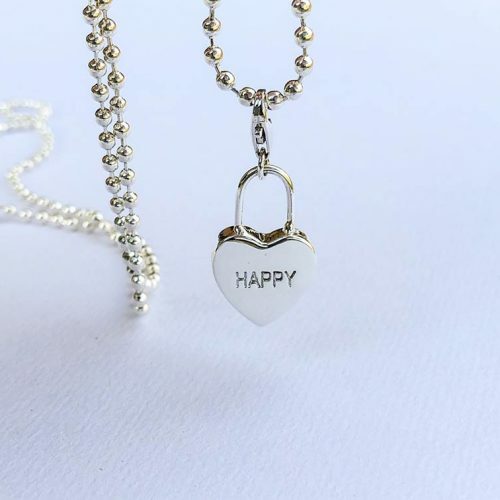 Personalise your necklace by adding some meaningful charms. Up your pregnancy style and connect with your baby.